CMOS (Chicago Manual of Style) is most commonly used to cite sources within history and the arts. Chicago has two main options for citations and bibliography: Author Date and Notes Bibliography. In Author Date style, your citations will be in text in parentheses, and your bibliography will be at the end on a page called References. In Notes Bibliography style, your citations will either be footnotes or endnotes, and your bibliography will be at the end on a page called Bibliography. 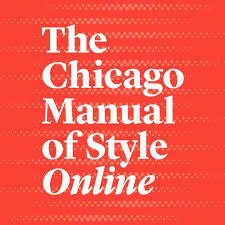 Find a hard copy of the Chicago Manual of Style 17th Edition in the library! Not only does this include how to cite sources, but it is also a guide for writing in the Chicago style.